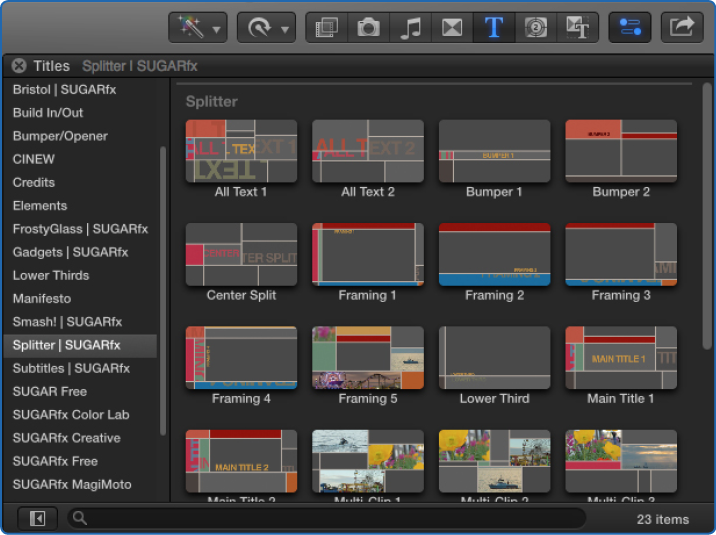 Split your videos in Final Cut Pro X with style and versatility. Create simple to complex layouts in seconds. Splitter comes with 23 unique layouts ready to use in your working timeline with simple to use controls and extremely elegant customization. All of the ayouts have been designed by motion graphic designers to give your video the visual importance and highest production value of any package. 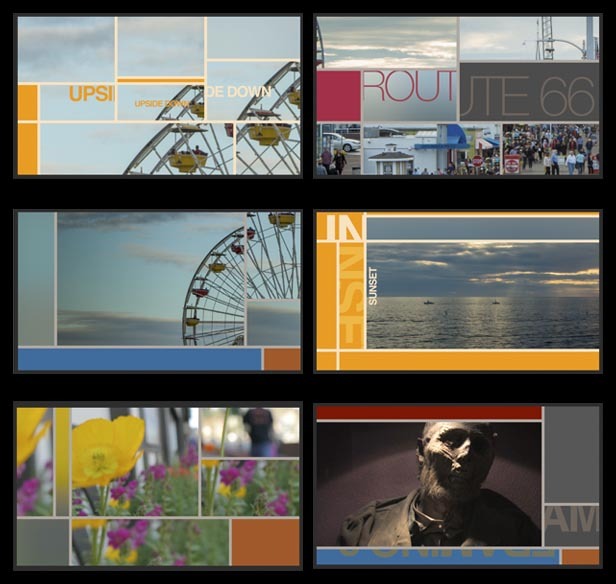 Each layout can be used as is, or it can be customized to include additional videos or still images, add custom text titles, or see the video underneath through the layout panels, and if you prefer, you can always use a combination of all these options. –The possibilities are limitless! Splitter also includes the ability to create your own layout and palette Presets that you can use at a later time or to share with your colleagues. Simply use the built in OSC controls unique to each designed template, set the layout up the way you want, and save your own Preset to the hard drive. Do the same for the Color Palettes of your text, the color panels and the line grid. Every designed layout provides its unique and dynamic OSC's, so you can even modify the layout easily and quickly. You will be able to change the color of the panels without hesitation. That's because every panel is quickly identifiable thanks to an ID system, easy to follow and easy to understand. Additional on-screen-controls available that makes each panel easy to identify at time of customization. 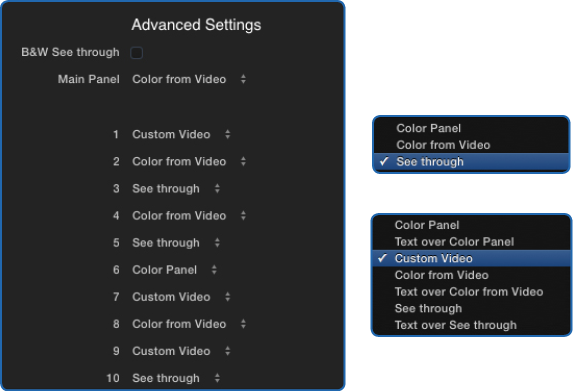 Each layout is unique and easy to customize or modify by clicking and moving the easy to use on-screen-controls available in the Viewer window..
Splitter comes with 23 predefined templates, and each offer a custom version of layout, text position, orientation and size, as well as custom video placement. 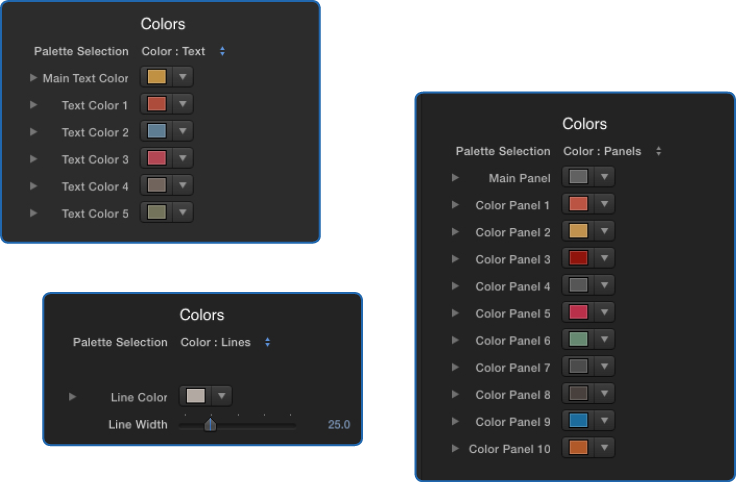 You can apply your own preset to an existing template, or maybe a new color scheme. Each template is all customizable and ready to be modified to suit your design needs. – All templates are modifiable and customizable. – Quick and easy selection of content or text. – Full text editing capabilities. 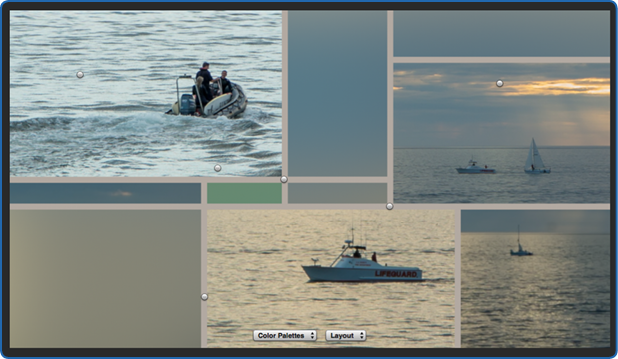 – Use text, color, custom video or see-through options for most panels. 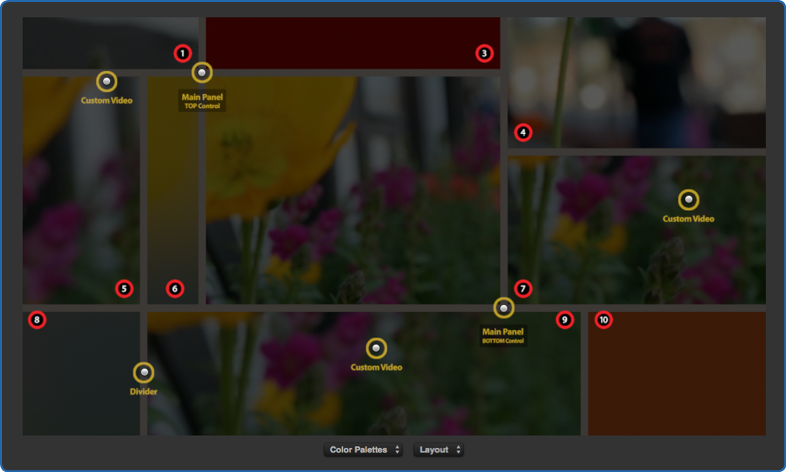 – Creation of Preset layouts and Color Palette presets. – Easy to identify and adjust on-screen-controls. – Use up to 3 additional custom videos on most layouts.